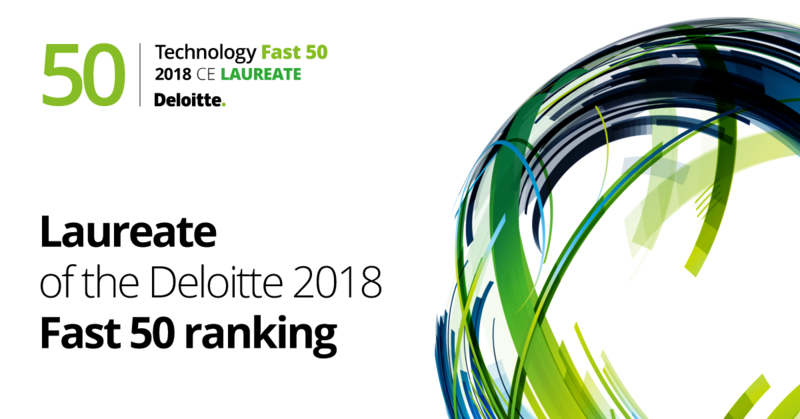 For the second time in three years Exacaster was recognized by “Technology Fast 50 by Deloitte” ranking as being among the 50 fastest growing technology companies in the entire Central Europe region. We finished right in the middle of the pack at 26th place, rejoining the Top 50 again after 2016. 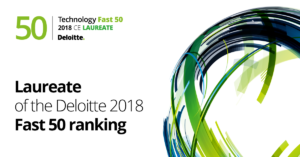 “Joining the Deloitte Fast 50 ‘club’ is a powerful statement for the dynamic young companies that meet the programme’s criteria, enabling them to join the fast-growing family across the world of businesses that have been recognised in Deloitte’s EMEA, US and Asia Pacific Fast 500 initiatives.” – says Gavin Flook, Partner, Clients & Industries Leader, Deloitte Central Europe. Exacaster is proud to be among fifty fastest growing technology companies in the region. We have achieved extraordinary growth organically thanks to our awesome team and amazing clients. This year a record number of Lithuanian companies made it to the Top 50. Congrats to our fellow entrepreneurs at Brolis Semiconductors UAB Sponge Deeper, UAB GOOD ONE, UAB BetGamesTV Adeo Web NRD Cyber Security!